A maintenance must for Pipers! 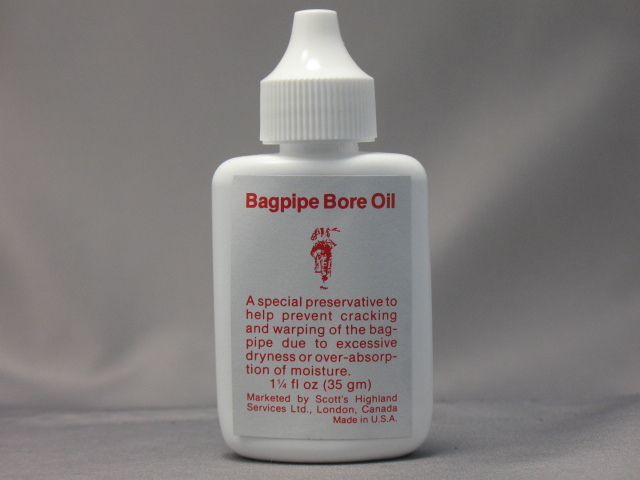 Bore oil should be applied to all wooden components of the bagpies occasionally to keep the wood from drying out and cracking. Use more often during the winter months when the air is drier.